IMG_0240, originally uploaded by Almost-Human. 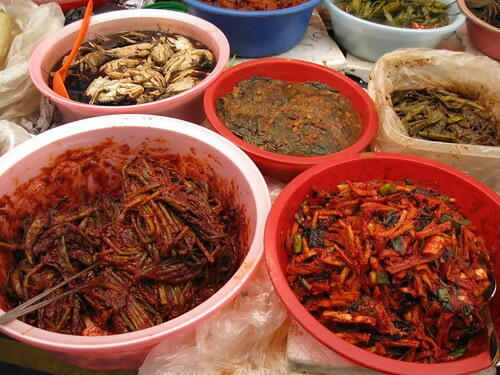 The one on the lower left is the only side dish in Korea that is too spicey for me. It looks like green beans, but actually it is garlic stems, and the heat is from the garlic, not the chili pepper. It is more stomach burning hot than anything else you’ll eat.